Pickleball is a sport that's gaining in popularity in Brevard. "Well, it's grown substantially," said Scott Nelson, United States Pickleball Association (USAPA) ambassador for the Space Coast. "It's probably equal on the Space Coast as it is throughout the country. ... It's the fastest-growing sport in the country for a lot of different reasons." 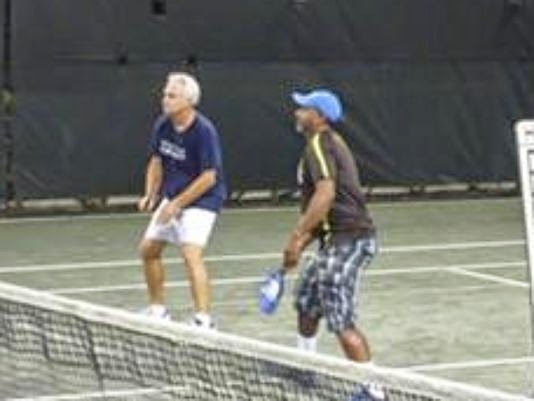 Although people of all ages have played the sport locally, those over 50 have particularly flocked to the sport, which involves a good deal of physical activity, but isn't as hard on the body as tennis and racquetball.